CHEAP WEB DESIGN > Cheap Web Design. Do you need a website you can manage, update and run yourself, without the use of coding? Do you want access to your site 24/7 through any PC with an Internet connection? Do you want to be able to run your site, add pages when you want? Edit pages when you want? "We Guarantee that our Cheap Web Design Services are the Best Available, We offer Unbeatable Features, Price, Quality and Workmanship with prices starting from only £499"
Your organisation can be judged on the ‘appearance’ and ‘feel’ of your web site; In fact the design of your website can be enough to ‘make or break’ your entire business and Internet strategy. When you choose Total Creation Cheap Web Design, you are choosing experienced Web designers who will not stop until you are 110% satisfied with the end design result. We offer unlimited redesigns on all websites, which you will not get from any other web design company. The Cheap Web Design and Development packages that we offer are unmatched for price and workmanship and our unique web designing skills can be structured around all of your design requirements. Every business needs a website and we can help get your company up and running on the Internet. All our bespoke cheap web design packages are custom-made from a blank canvas. We do not depend on any templates to design websites. We can give shape to your dream website moulding it with our own experience and design skills to take your business to the next level. 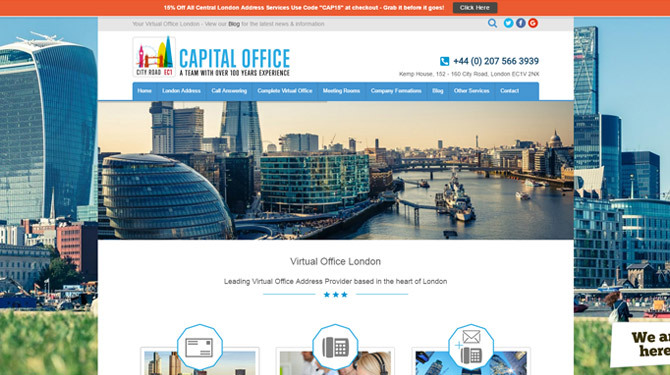 All our web designers are based in house within our offices in City Road, London. Every cheap web design package we sell gets created by a website designer who is based in the United Kingdom, we dont outsource any of our cheap web design packages! To keep up to date with our latest offers, news and product updates please follow us on your favourite social networking sites; Twitter, Facebook and Google + for latest offers. We are proud of our services and we have a great portfolio and real testimonials to prove this. Cheap Web Design at its very best. We design a Beautiful, Professional and Bespoke 1 Page website to your exact design requirements and personal taste. All our website packages come with unbeatable website features. If you are looking for a web presence then the 1 Page Bespoke Website Package is for you. For more information please click on the package details link or click here. Cheap Web Design at its very best. We design a Beautiful, Professional and Bespoke 8 Page website to your exact design requirements and personal taste. All our website packages come with unbeatable website features. If you are looking for a professional site then the 8 Page Bespoke Website Package is for you. For more information please click on the package details link or click here. Cheap Web Design at its very best. We design a Beautiful, Professional and Bespoke 15 Page website to your exact design requirements and personal taste. All our website packages come with unbeatable website features. If you are looking for a professional site then the 15 Page Bespoke Website Package is for you. For more information please click on the package details link or click here. Cheap Web Design at its very best. We design a Beautiful, Professional Content Management website template to your design requirements and personal taste. All our website packages come with unbeatable website features. If you are looking for a professional site with full content management then the CMS Website Package is for you. For more information please click on the package details link or click here. Cheap Web Design at its very best. We design a Beautiful, Professional website Ecommerce Web Shop template to your design requirements and personal taste. All our website packages come with unbeatable website features. If you are looking for a professional site with full content management that allows you to sell items online then the Ecommerce website Package is for you. For more information please click on the package details link or click here. Cheap Web Design at its very best. To begin the web design process all you need to do is purchase one of our Cheap Web Design packages via our website, once you have made the payment you will receive a web design form to your email address. The form will form the base of your web design and will guide us in creating a beautiful, modern elegant website - just the way you want it. If you are not happy with your web design don’t worry we will redesign the first draft as many times as you want until you are completely satisfied with the first draft. View our Web Design Portfolio for examples of our website designs. 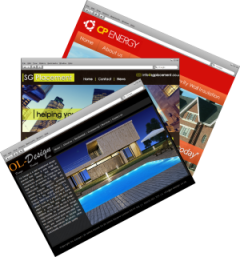 Total Creation offer unlimited re-designs on the first draft of your website with our cheap web design packages. This means you can rest assured in the knowledge that you will end up with a website designers the way you want it. We work together with you until you get the end result you want. The first draft is designed to give you a clear view of what your website will look like when fully completed, this will include colours, images and layout of the site. Once the first draft website has been approved, your web designer will then move onto adding content to the pages which you will provide. Cheap Web Design, Cheap Website Design, Web Design. Everything you need is included with our cheap web design packages. From start to finish Total Creation can and will do everything for you in regards to the design of the website, this means when you purchase one of our cheap web design packages, you can literally put your feet up and let us get on with the design. Our cheap web design packages come with Free Hosting and Free Domains so there is nothing which you will need to get your website live that is not included in our web design packages. Why Choose Cheap Web Design? Our expert team of web designers can help you get your business a website, and get your business online with minimum costs. When starting a business money can be very tight, and we understand that every penny counts. That is why Total Creation have developed leading Cheap Web Design Packages, including cheap bespoke web design, ready made websites, cheap SEO and cheap logo design. Our extensive Internet product ranges are ideal for new or existing business who need to be very considerate when spending their precious resources. Take a look at our portfolio for more design ideas. Cheap Web Design is a very important tool for new businesses wanting a web presence. A cheap website means that the business can afford to invest money into other areas of its operation at such an important time in the business life span. Cheap Web Design allows the business owner to get maximum website exposure on the Internet with minimum over head expense. Total Creation specialise in business cheap web design and cheap website design, we include Cheap SEO with all our packages helping business to achieve maximum return on the cheap web design investment. The Internet, Google and other search engines can provide a lot of new business to new websites, Total Creation help business achieve new targets through our cheap web design packages, all of our cheap website design packages come with Google, Yahoo and Bing submissions, Google Local Business Map Listings and Directory Submissions into UK Website Directories. Total Creation provide maximum website support for all customers. Our cheap web design packages really do offer business a great web platform on which they can achieve new Internet sales and ultimately bigger profits, our cheap website package are a must for all you new start up businesses. Our Cheap Web Design packages are crammed full of leading features all of which are needed if your website is to succeeded in today competitive market. We offer ecommerce solutions which are linked with PayPal, PayPal is a fantastic payment option as it allows people to purchase your products and services from you with them needing an account. Our cheap web design packages also have features such as flash banners, image galleries, and graphic banners, all of which help to bring your website alive. We also include a website contact form, so your clients can easily get in contact with your through your interactive website. Also another fantastic addition to our cheap web design packages is that we offer a free website domain name, and free website hosting. Our cheap web design packages have been built with you and your business in mind, we have not left any feature out that we thought would be essential for a good business website. Wait, there are more features we have not covered here, we include Live Web News Feeds, Web Hit Counters, Live Visitor Monitors, Website Site Map, and importantly SEO, Google Listings, to name but a few? What are you waiting for? Web Design at its very best. Web Design | Cheap Web Design.